Leigh Gallagher’s book is a the behind-the-scenes story of Airbnb. 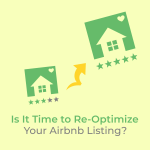 It looks at the development of the online accommodation business that was created by Brian Chesky, Joe Gebbia, and Nathan Blecharczyk that has now grown into one of the world’s most recognized and talked about brands. While the company has been talked about across many forms of media, this is the first book which exclusively focuses on Airbnb and it’s growth from startup to international success. “This is the remarkable behind-the-scenes story of the creation and growth of Airbnb, the online lodging platform that has become, in under a decade, the largest provider of accommodations in the world. At first just the wacky idea of cofounders Brian Chesky, Joe Gebbia, and Nathan Blecharczyk, Airbnb has disrupted the $500 billion hotel industry, and its $30 billion valuation is now larger than that of Hilton and close to that of Marriott. Airbnb is beloved by the millions of members in its “host” community and the travelers they shelter every night. And yet, even as the company has blazed such an unexpected path, this is the first book solely dedicated to the phenomenon of Airbnb. Issue 1: Airbnb, the law, court battles and host support. Prior to reading The Airbnb Story a friend had told me about the first legal battle between New York City and an Airbnb host renting out his room. My friend went into detail about it and gave an interesting perspective in how Airbnb didn’t join the fight until the Airbnb host initially lost. Airbnb then took the case, appealed and won. They only joined to cover their own a$$es, not to help the host. In the book, this entire topic was covered in a couple paragraphs and simply commended it as an Airbnb victory (p. 108-9). Issue 2: Airbnb, taxes, political battles and local promotional mistakes. 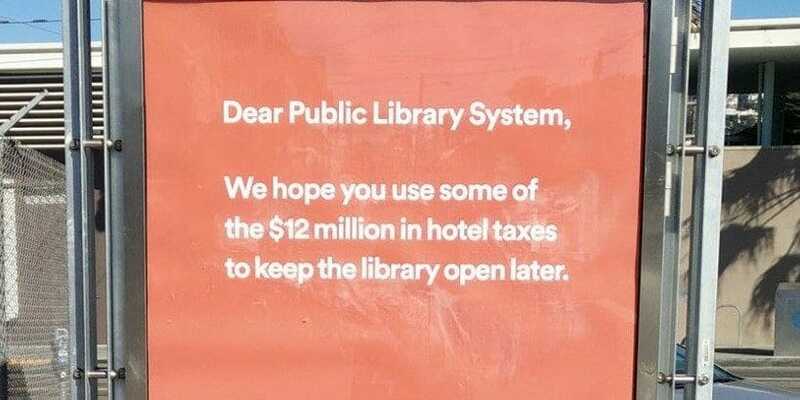 In 2014 when San Francisco was trying to pass an even stricter Airbnb law, Airbnb put up these snarky billboards all over SF. I’m sure well intentioned, but tone deaf. Airbnb & Local Campaigning: Was This Really The Best Campaign To Run During An Election Period? 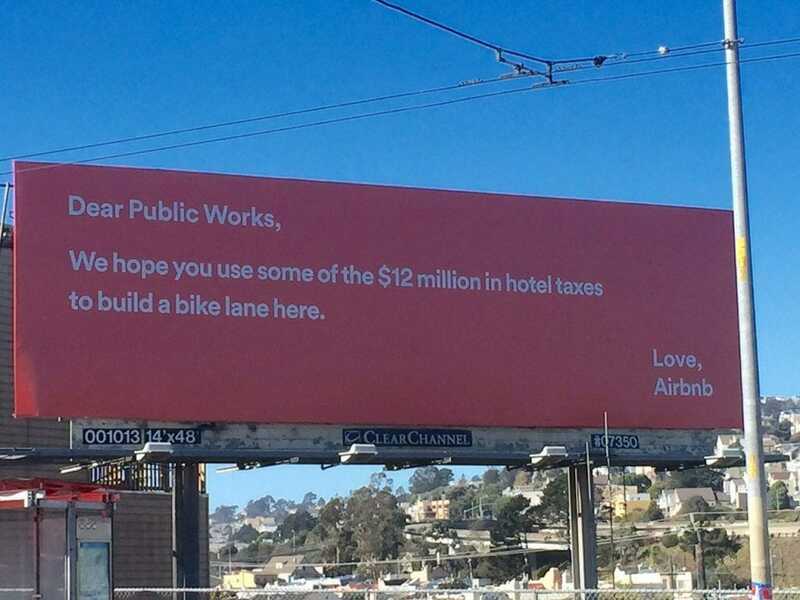 These billboards were put up only days before the election and left a sour taste in many people’s mouths about Airbnb. I would have liked to understand more about how this happened and why, but it was only covered in a tiny portion of the book on page 128. 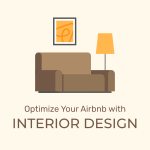 Airbnb & Local Campaigning: Could This Type Of Campaign Alienated Potential Customers? 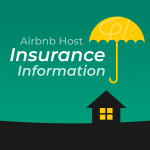 Insights Into The Accommodation Industry: Is Staying In An Airbnb Property Safer Than A Hotel? I really liked Chapter 6: “Hospitality, Disrupted” as it gives a nice history of the hotel industry. One very interesting part was how hotels view risk related to personal injury and death. “Relative to risk, it was too expensive for hotels to equip each room with a carbon-monoxide detector.” (p. 98). From 1989-2004, 68 incidents of carbon monoxide poisoning in US hotels led to 27 deaths and 772 people accidentally poisoned. From 2009-2013, hotels averaged 3,520 fires per year resulting in 9 deaths. 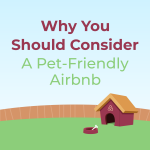 Contrary to popular belief or convention knowledge, Airbnb is tremendously safe. Safety is one of the biggest complaints the hotel lobby pushes, but it seems all those hotel safety regulations hasn’t made them any safer than normal citizens home. In fact, it’s less safe to stay in a hotel than in a neighborhood home. In 8 years and over 140M nights, I believe there’s been one death on Airbnb from a tree branch falling on an elderly man while sitting on a swing. 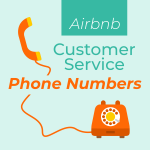 The Personal Airbnb Gossip: Relationships? Rumours? Dating? Tinder? I did learn something about Brian Chesky that I did not know before. He met his girlfriend, Elisa Patel, on Tinder in 2013. While I was an employee there, it was rumored that he was dating someone and that someone was either an employee who left the company or a Tinder match. The case is closed on that one! Overall, The Airbnb Story by Leigh Gallagher was entertaining and I read the book from cover to cover. It is a book based on facts, there is little story-telling of the founders and their story. I felt it lacked depth. It covered many topics over the eight-year history of the company but did not provide a behind the scenes perspective, as I assumed it would, especially as the book was okayed by the three founders, giving Leigh Gallagher direct access to all of them and the company. Onward from about page 140, I felt the book got better as it got more detailed. As stated above, the author wrote about the hotel industry and how Airbnb fits in. She had a section on each of the co-founders. Again, I wish it was a bit more in depth as she had access to them, but it was still insightful. Thank you, Leigh Gallagher, for having your team send me a copy of the book! 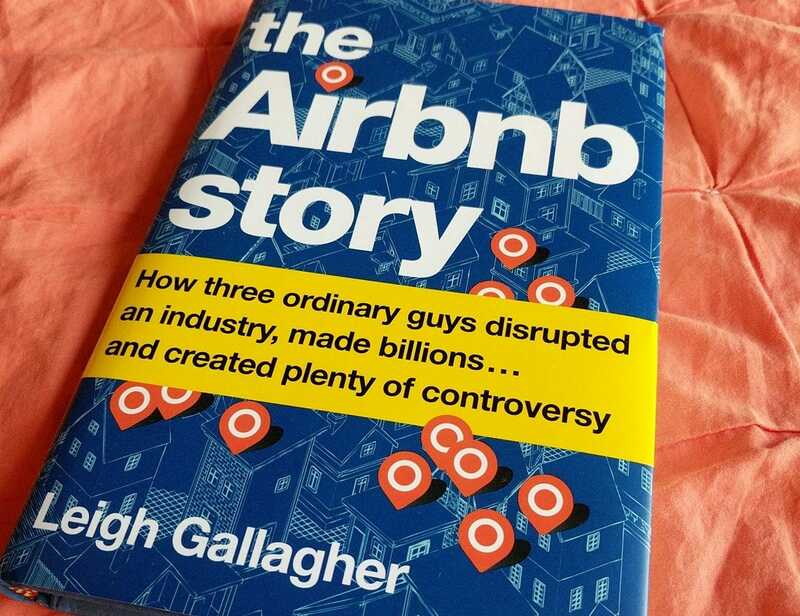 Have you read The Airbnb Story by Leigh Gallagher? Let me know if you agree with my review in the comments below. The next book on Airbnb (and Uber) I plan to read is The Upstarts: How Uber, Airbnb, and the Killer Companies of the New Silicon Valley Are Changing the World by Brad Stone.